Speaking of Israeli lines, on Feb. 12th there will be an alternative flash-mob tribute to Israeli lines. OK, rumour has it I’m going to be mentioned in the show. Of course I’m very excited. 🙂 Also, btw, the flyer really is VERY cool. 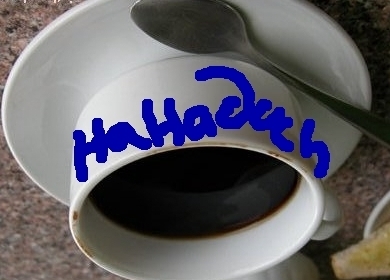 The only problem is that the coffee doesn’t really look like a hafuch. 🙂 I guess it’s an Americano hafuch-wanna-be. Why you got to rain on our parade! Shady- the coffee is awesome and you’re just jealous. If you want it to be upside down all you have to do is turn your computer screen upside- duh! Get ready for your mention in the show! Let’s just say ‘Stacy’ for now! I love flash mobs- our troop wants to make one! Who is in? I feel so stupid. of course you only have to turn it upside down! I’m SO PSYCHED to hear my mention! I feel so important! 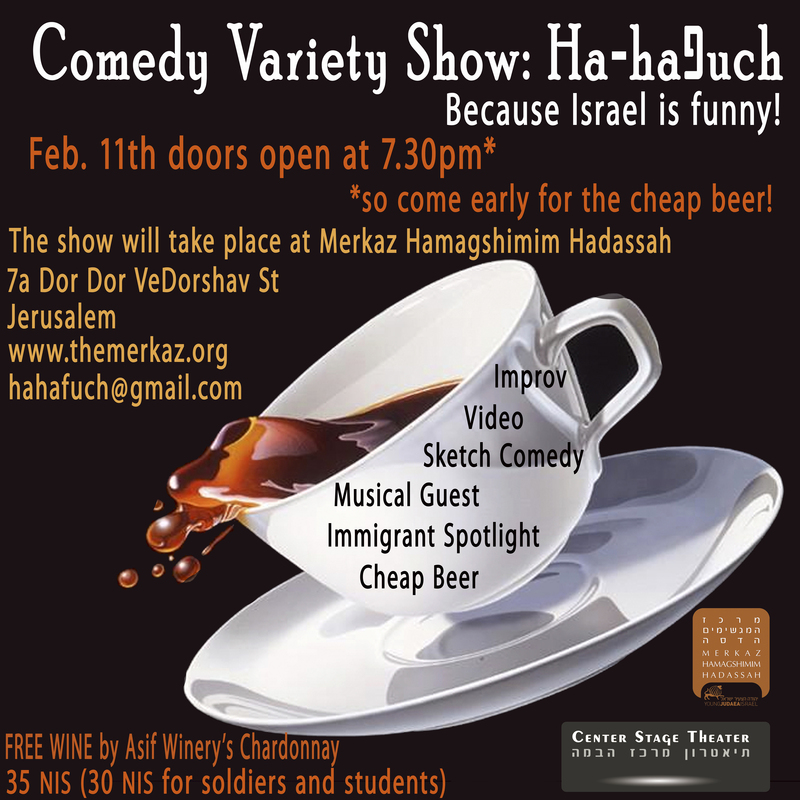 "Israel is Funny: The HaHaפuch Comedy Show Feb.11" was written February 3rd, 2010	by thebigfelafel, and filed under Easily Amused and tagged comedy show, funny, hahafuch, hahaפuch, humor, improv, Israel, jerusalem, music, Posts by Molly, sketch, Srugim, stacy.